The Simulation and Interactive Learning (SaIL) Centre are proud to offer this internationally recognised, four-day intensive simulation educator course, delivered in partnership with the Boston USA based, Center for Medical Simulation (CMS). This course is being offered for the first time in the UK at the award-winning SaIL Centre in the heart of central London overlooking the Houses of Parliament. The course will be delivered by internationally recognised expert faculty from CMS and the SaIL Centre. 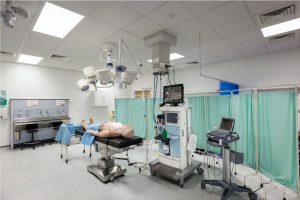 The course gives a comprehensive overview of the skills needed by simulation educators at all levels and uses a combination of immersive simulation, large group lectures, large and small group discussion, and focused small group tutorial support. The course includes designing, planning, and running effective simulation, as well as conducting debriefing. Further, the course allows participants to network with and learn from colleagues, while practicing their skills with some of the most well-respected simulation faculty in the world. 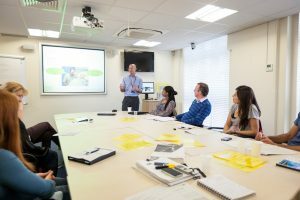 The course offers value for all levels of simulation educators: novice learners will have the chance to explore all aspects of simulation education; while more advanced educators have an opportunity to learn Debriefing with Good Judgment from the experts in the field. * This course is limited to a maximum of 20 spaces and demand is expected to be very high. Please book early to avoid disapointment.